Home ownership at 50-yr low, but it still matters! The home ownership rate may now be at a 50-year low, but that doesn’t mean the dream of home ownership is dying, says Lawrence Yun, National Association of Realtors' chief economist, in his latest column for Forbes. In the second quarter of 2016, the home ownership rate dropped to 63.1 percent, but Yun notes it’s clear that home ownership still matters to Americans and to the economy. According to Yun, the drop in the home ownership rate does not mean that Americans aren't interested in buying a house. Indeed, plenty of recent surveys show overwhelmingly that Americans have a strong desire for home ownership. NAR’s Housing Opportunity and Market Experience survey, for example, revealed that 87 percent of consumers believe home ownership is part of their American Dream. 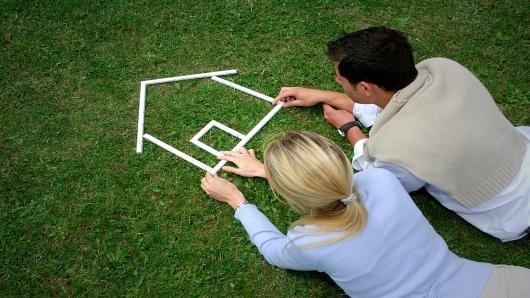 In a recent Ipsos survey, 86 percent of consumers said home ownership is their dream. Many Americans say they would like to own, but the timing isn’t right yet. They may not have enough saved for a down payment or some say they can’t qualify for the current tight underwriting standards that is preventing them from getting a loan to buy. Over the long-haul, home ownership tends to provide wealth accumulation for owners. A typical home owner’s net worth was $195,400 in 2013 compared to a renter’s net worth of $5,400, according to the Federal Reserve’s Survey of Consumer Finances. Since 2013, home prices have risen by 17 percent too, giving home owners more wealth. What’s more, home ownership is good for the economy, says Yun. Most home owners typically sell their home and move on to a new home in a 7- to 10-year cycle. That cycle can contribute to economic growth and job creation because each home sale tends to have a multiplier effect in boosting home remodeling, furniture businesses, mortgage origination, moving companies, even restaurants, etc. According to NAR calculations, one new job is supported from every two home sales.